Samsung Electronics today announced that it has successfully completed the development of its cutting-edge mmWave Radio Frequency Integrated Circuits (RFICs) and Digital/Analog Front End (DAFE) ASICs, supporting 28GHz and 39GHz bands. 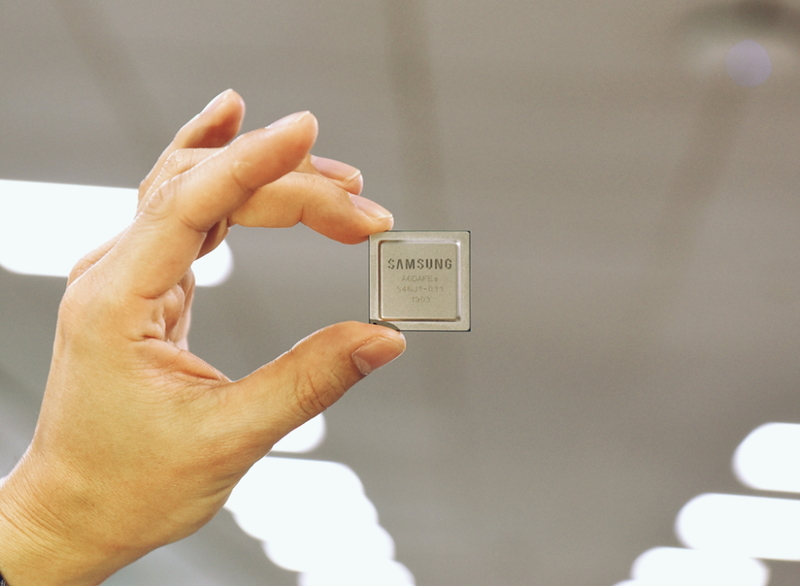 Samsung’s new RFICs and DAFE ASICs, the core components in the 5G chipset, enable about 25 percent reduction in size, weight and power consumption for 5G base stations when compared to the previous iterations. 5G base stations using these new chipsets are more efficient in operation and roll-out. To achieve ultra-fast data speeds, 5G base stations use almost one thousand antenna element and several RFICs to utilize the mmWave spectrum. The adoption of RFICs plays a crucial role in supporting the reduction in the size and power consumption of base stations. Samsung’s new RFICs using cutting-edge 28nm CMOS semiconductor technology operate on bandwidths that have been expanded to a maximum 1.4GHz, compared to 800MHz for previous RFICs. The size of RFIC is reduced by 36 percent and the overall performance is enhanced by decreasing the noise level and improving the linearity characteristics of the RF power amplifier. Samsung has developed RFIC solutions for 28GHz and 39GHz and plans to commercialize additional RFICs for 24GHz and 47GHz this year, allowing further expansions into markets that will utilize these higher frequency bands. 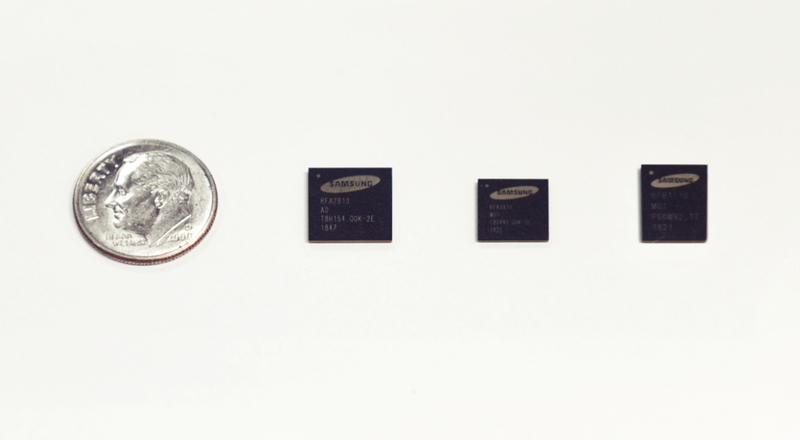 Samsung has also developed its own DAFE as an ASIC, low in power consumption and small in size. The DAFE is essential for digital wireless telecommunications as it provides analog-to-digital conversions and vice versa. The 5G DAFE manages large bandwidths of many that are hundreds of MHz and developing an ASIC allows for the reduction in size and power consumption of 5G base stations. Without investing in ASICs, the DAFE on its own would be too big and power insufficient to meet the product needs of carriers.